Rita Ora Rocks a Poncho with Her Boyfriend Jeans, Do You Approve? It’s amazing how Rita Ora can switch from looking sophisticated and elegant to quirky and off-beat with just a change of clothing. The singer, who has been sporting several nod-worthy outfits of late, stepped out on Wednesday in a rather questionable ensemble. It was an odd combination of loose folded up jeans, black pointy suede booties, a cap worn backwards, round-rimmed eyewear, and the most bold and striking striped poncho we’ve ever seen in months. To be honest, we didn’t know what to think of the outfit. On one hand, it was cozy, laid-back, and kind of cool. But on the other, it looked like a bad mix, as if she decided to just throw on whatever she found in her closet without any thought. 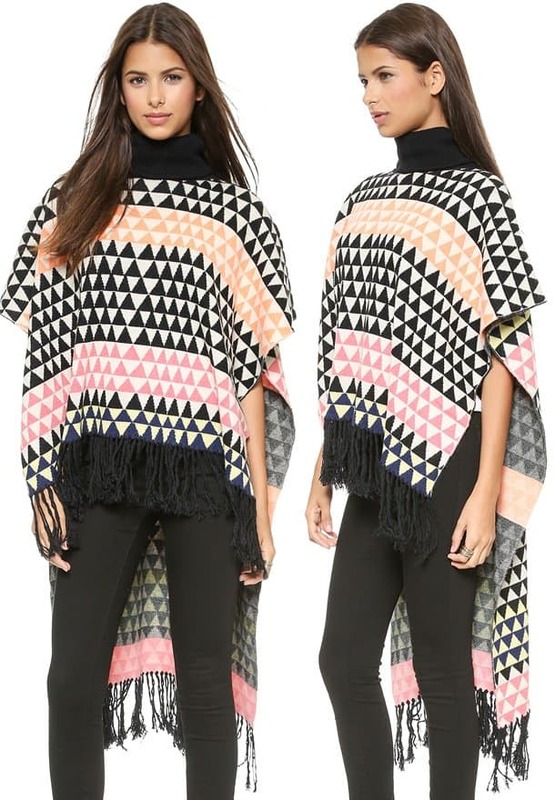 So can you get with Rita’s poncho style, or do you think she simply looks lousy? We can’t say we love the pairing she put together, but we can appreciate her topper. It’s very colorful and very Mexican-inspired. In fact, it looks very authentic, and may have even been handmade. What we’d like to point out, though, is that it’s really cute. It’s obviously a statement accessory and therefore, will require little or no decoration. If we had our way, we’d ask Rita to loose the cap and go for a pair of dark skinny jeans instead. What about you, what style advice will you give the popstar? 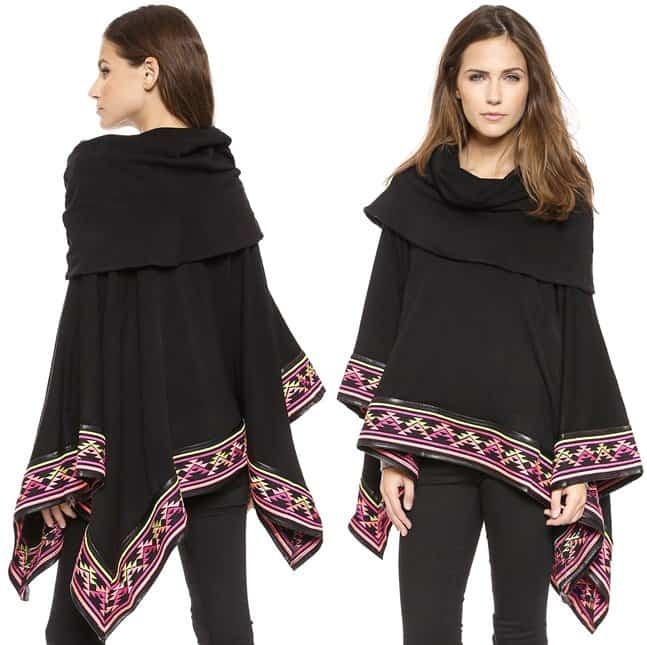 If you’re in the mood for an exotic poncho like Rita’s, try these options from 6 Short Road and Mara Hoffman. What we like about these toppers is that they’re not ridiculously pricey, so it’s actually possible to score one without breaking the bank.